Owner/Operator Mike McKillip brings over 35 years experience in the automotive industry. Prior to joining Saddleback Automotive in 1991, he held various positions at both dealerships and independent shops gaining extensive knowledge of both the service and mechanical sides of the business. Known for being honest and upfront, Mike takes great pride in ensuring that your vehicle receives the attention it deserves. 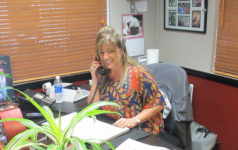 As the backbone of the operation, Tina McKillip has worked at Saddleback Automotive since 1991. The daughter of a mechanic, Tina has more than 25 years experience around the automotive service business. Before joining Saddleback Automotive in 1991 she provided customer service and operational support for a dealership. In addition to the invaluable experience she gained while with the dealership, she gained a partner for life in Mike. Harvey has more than 30 years experience in the industry and has been with Saddleback Automotive since 1993. Self-taught and self-motivated, his passion for servicing automobiles began in high school. Harvey has been ASE Certified and prides himself on always going that extra mile to ensure your vehicle is repaired right the first time. 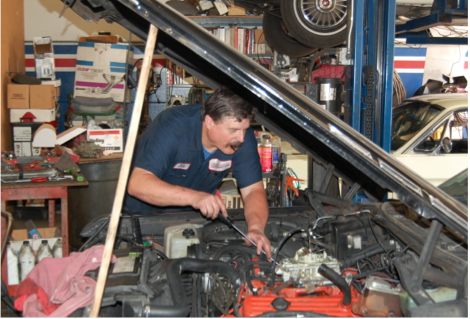 Master Tech Jack has 40+ years experience and has been with the shop for more than 20 years. Jack’s introduction to the automotive service business began in the early 70’s, working at his father’s gas station – he has been servicing and repairing all makes, all models ever since. ASE Certified in all auto/truck repairs, Jack can fix just about anything on your vehicle, and specializes in rebuilding classic/muscle cars. Click to see some of the cars Jack has rebuilt. Robin joined our team in 2013, bringing more than four decades of experience to Saddleback Automotive. He got the automotive bug after securing a degree as an automotive technician from a local college and has worked at a number of GM dealers in the area. Rounding out his experience, Robin has performed 10 years of service and repair duties at local independent shops as well as holding ASE certifications in Engine and Transmission repair. He is a highly respected technician and a great asset to our business.